ASU professor Lee Gutkind, a writer, teacher and storyteller, said he knew he'd hit a home run a few years ago when he brought together a group of writers and scholars, and watched as they created compelling, fresh narratives that conveyed complex scientific information. Creative Nonfiction is also the name of the first and largest literary magazine to publish narrative nonfiction exclusively, of which Gutkind is editor. A CSPO faculty member, Gutkind said the need for good storytelling is significant. According to Gutkind, creative nonfiction is the fastest-growing writing genre in the publishing world. 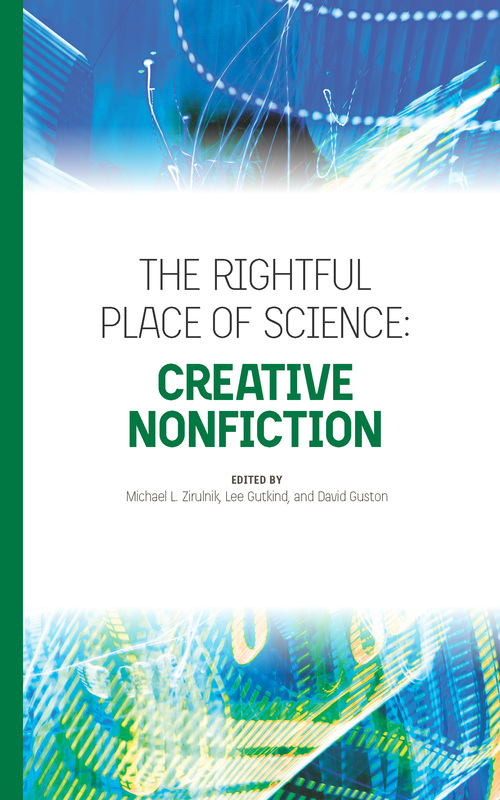 Edited by Gutkind, David Guston (co-director of CSPO) and Michael L. Zirulnik, this collection of narrative essays presents expert knowledge about science, technology and innovation policy, without the use of buzzwords and jargon, and is fifth in the series, which launched in 2013. Editor of the book series, ASU professor G. Pascal Zachary said the stories explore the complex interactions among science, technology, politics and society. This volume, along with the previous books in "The Rightful Place of Science" series (Politics, Biofuels, Government & Energy Innovation and Disasters & Climate Change), are available in print and e-book editions in the United States and Europe via Amazon.com. The Consortium for Science, Policy & Outcomes is a research center in the College of Liberal Arts and Sciences. The National Association of Broadcasters Education Foundation and Arizona State University’s Walter Cronkite School of Journalism and Mass Communication are accepting applications for an intensive 10-day media sales training program this summer for recent college graduates. The Media Sales Institute, supported by the GM Foundation and Gannett Foundation, provides sales training seminars as well as mentorship and networking opportunities with leading broadcast industry professionals. Up to 30 fellows will be accepted and receive a Media Sales Certification as well as transportation, housing and meals at no cost. 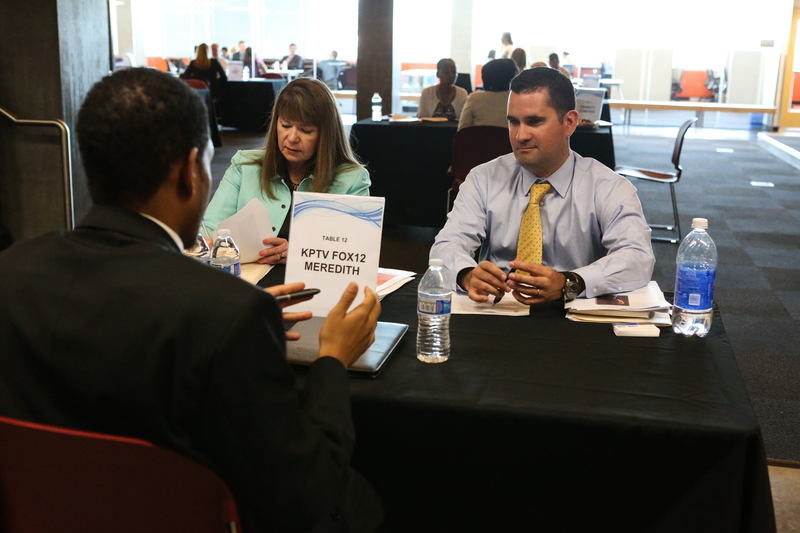 The institute culminates in a job fair with more than 20 local and national media outlets. Last year, media companies included CBS Radio, Clear Channel, FOX, Meredith, NBC, Raycom Media, Scripps and Univision. Recent and soon-to-be college graduates must apply by March 15 at nabef.org/msi/registration.asp. ASU is one of a few select institutions to host this event. Florida A&M University, Howard University and Ohio University are the other universities holding Media Sales Institutes in 2015. According to Mark Lodato, Cronkite School assistant dean and news director, the institute provides the skills necessary to thrive in today’s broadcast media jobs.